Homer was an ancient Greek epic poet. The ancient Greeks generally believed that Homer was a historical individual, but some modern scholars are skeptical: no reliable biographical information has been handed down from classical antiquity. He is traditionally said to be the author of the epic poems The Iliad and The Odyssey. They are commonly dated to the late 9th or early 8th century BC, and many scholars believe The Iliad is the oldest extant work of literature in the ancient Greek language, making it the first work of European literature. It is an epic poem recounting significant events during a portion of the final year of the Trojan War. 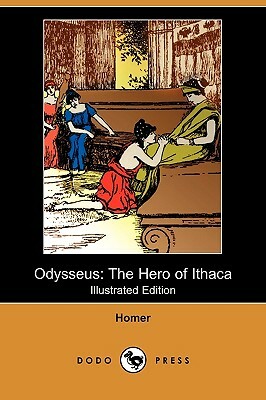 The Odyssey is, in part, a sequel, centring on the Greek hero Odysseus (or Ulysses, as he was known in Roman myths) and his long journey home following the fall of Troy.